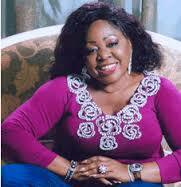 Florence Ita Giwa was born on February 19, 1946 in Atabong, Bakassi LGA area of Cross River State. Kingdom, where she studied for, and became a nurse. After she graduated as a nurse, she became a representative for the Beecham pharmaceutical company. She later moved to Standall Pharmaceuticals and represented Lagos State. Florence Ita Giwa later got married to Dele Giwa, the founder and editor of Newswatch magazine. The marriage did not last for a long time, before Dele Giwa got married to Olufunmi Olaniyan, who was his wife until his death in 1986. Florence Ita-Giwa later joined politics and became the chairman of the National Republican Convention (NRC) for Delta State. She won an election into the The Federal House of Representatives in the year 1992. While in the National Assembly as a legislature, Ita Giwa was a member of the committee on devolution of power constituent assembly between the year 1994 and 1995. Florence Ita Giwa was very out-spoken on Bakassi matters, which led to her being nicknamed "Mama Bakassi". In April 1999, Ita-Giwa was elected into the Senate as the Senator representing Cross River South Federal constituency on the platform of All People’s Party (APP) and she was in the senate from May 1999 to May 2003. At the senate, she became a member of the committees on Environment, Foreign Affairs, Rules and Procedures, Women, Niger Delta and Drug & Narcotics. When she left the senate in the year 2003, she joined the People's Democratic Party PDP, and was appointed Special Adviser on National Assembly Matters to the former president Olusegun Obsanjo.